The winning team “The Saints” celebrating! 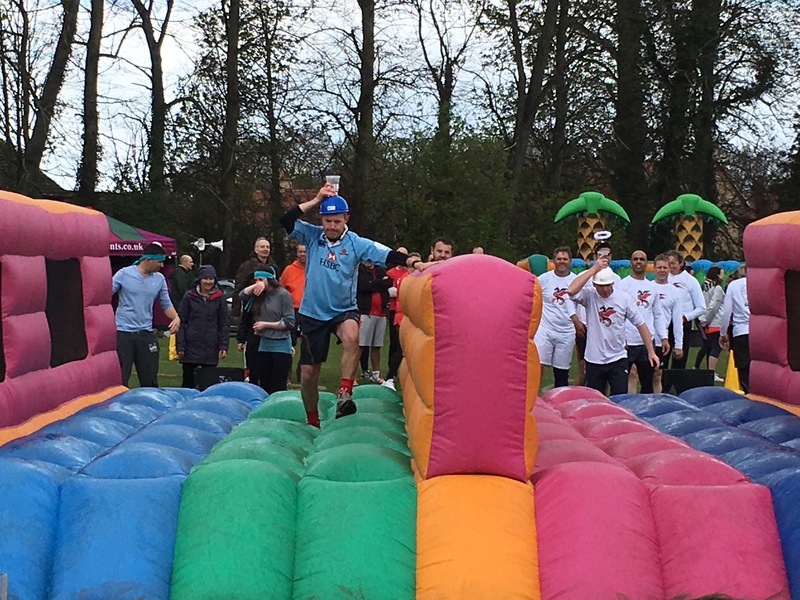 A fantastic £12,000 raised for Playscape! 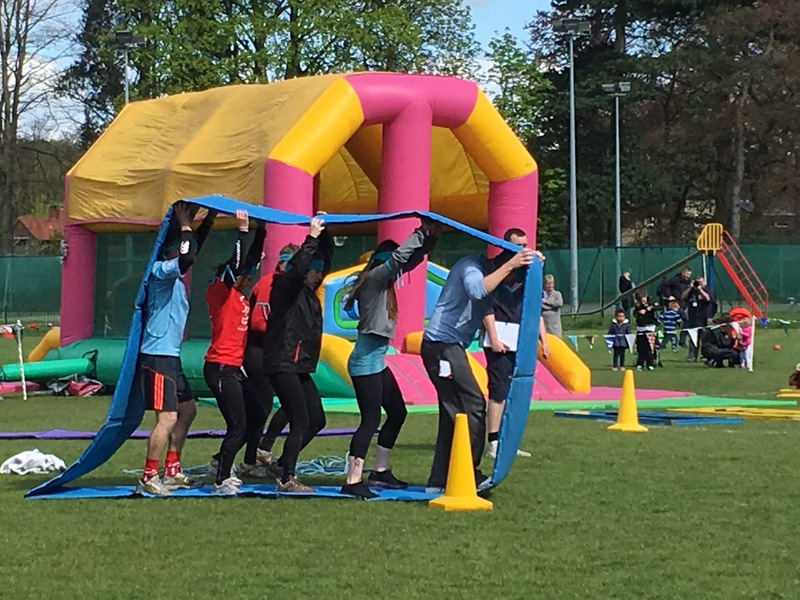 8 local teams ran, bounced, catapulted and waddled their way through a series of larger than life challenges on a chilly April afternoon on the Shelford rec, all for the glory of winning It’s a knockout (and collecting an inflatable trophy!). 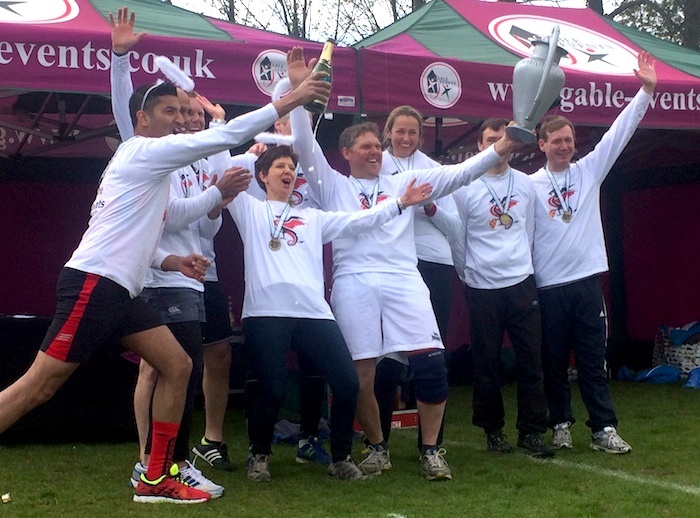 The Saints team won (complete with fluffy halos), but there was plenty of talk of rematches before the day was out, so watch this space! A huge thank you to all the amazing teams who took part and sought sponsorship, to TTP Group who sponsored the event and match funded their team’s donations, for the volunteer bakers who produced a delicious array of cakes, the WI who ran the café, the volunteer face painters who did a marathon non-stop session, to those who lent us the BBQs and to all the spectators who cheered the teams on and ate and ate! Thank you, thank you! Donations for this event have now closed, however you can donate to the charity at any time here. Wishing you’d had a go at “human demolition” or “ski crazy” now? Well the next exciting event will be in the autumn: sponsored abseiling down St Mary’s Church Tower! This will also be open to anyone over 10. 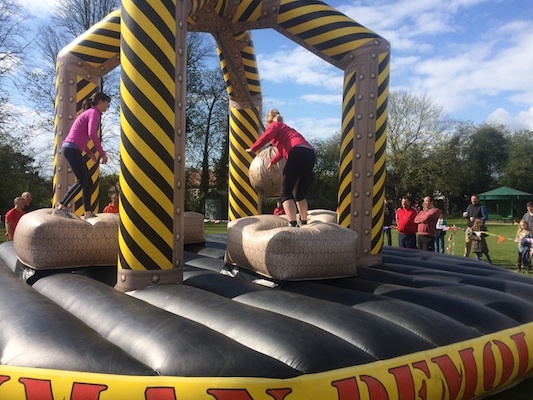 Registration will be via our website shortly, however in the meantime if you’d like to reserve your spot then please just drop an email to Jenny at events@shelfordplayscape.org.